Small, lightweight all-rounder for occasional use for light soiling. For example, garden furniture, bicycles, cars and small areas around the house.Ideal for use as a second machine. Compact, lightweight, practical, robust - the K 2.110 high-pressure cleaner is ideal for occasional use around the house. 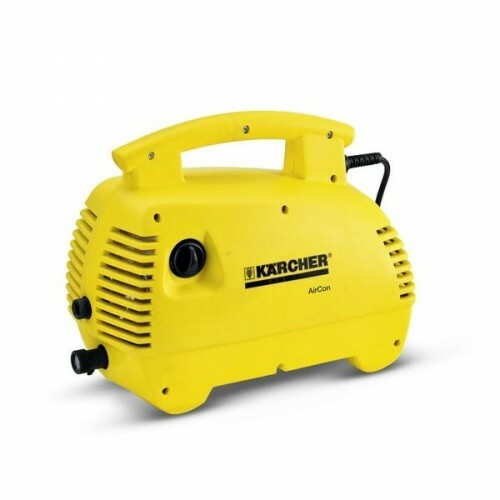 This portable high-pressure cleaner is suitable, e.g. for cleaning cars, garden furniture or patios. An impact-resistant, recyclable plastic casing effectively prevents dirt particles from damaging the motor and pump. A safety valve prevents pressure overload. A pressure switch control switches the motor on and off when the trigger gun is pressed and released. High-performance machine with high-quality N-Cor pump to reduce noise. A detergent injector system supplies detergent to the area being cleaned also at low pressure. A large on/off switch for ease of use, on-board practical accessory storage for lances and an ergonomically designed trigger gun for effortless cleaning are further features of the K 2.110.